Cucumbers are finicky things, demanding a timely, and copious supply of water, searing heat, and weed free fertility if you want anything out of them. At present many parts of the food forest supply none of these, accept the heat in some places. But cucumbers come from a very hardy, dessert dwelling background. 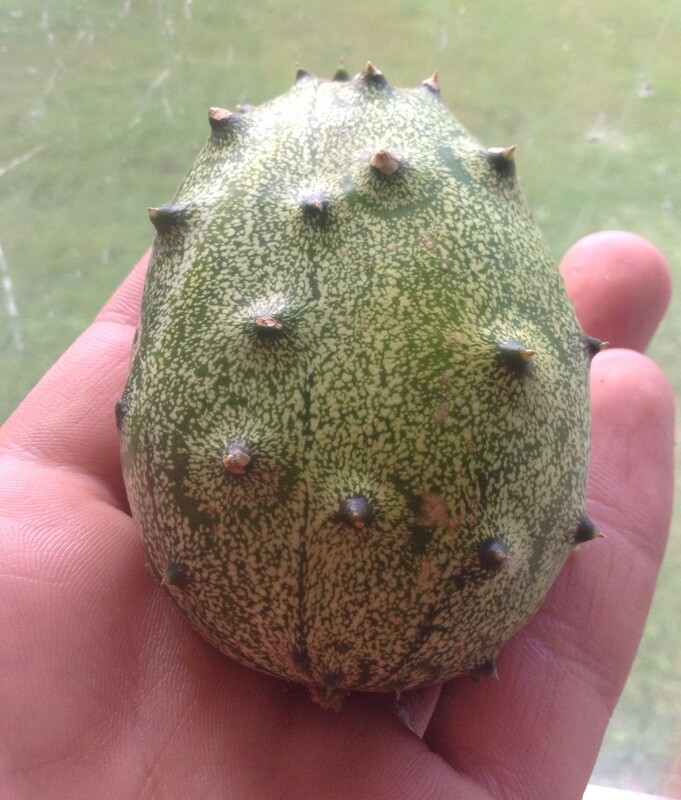 While I would hardly call my food forest a desert, I tried growing one of these primordial cucumber species Oikos tree crops calls Jelly Melon (Cucumis metuliferous) just to see how they would cope. These things are tuff as nails, and feel like them too if you aren’t careful. The first sign these things were abnormally resilient was when some starts in the greenhouse strayed from their flat and missed getting water for several days. I found them, soil shrunk from the sides of their pots for lack of water in the 100+ degree greenhouse, with not the slightest droop to their stem or leaves. 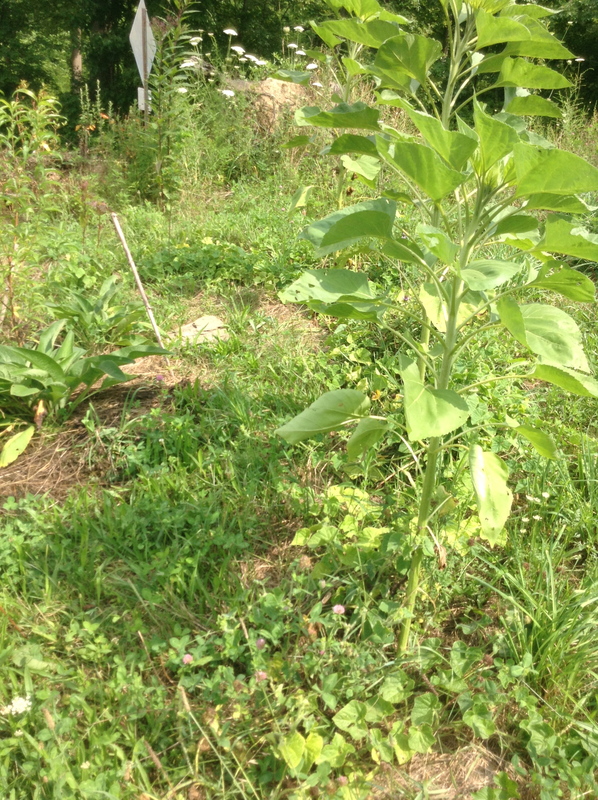 Later, I transplanted them into completely untilled clay soil that had only the slightest grass and rock mulch applied to kill the grass, sunflowers as their only companions, grass looming only inches away (see A bit blunt for more info). I didn’t even water them, ever. Obviously it’s hard to kill these things. But not only did they live, they fruited. Only one or two per plant though. One must handle the spiny fruit gingerly. I got the hang of it though. 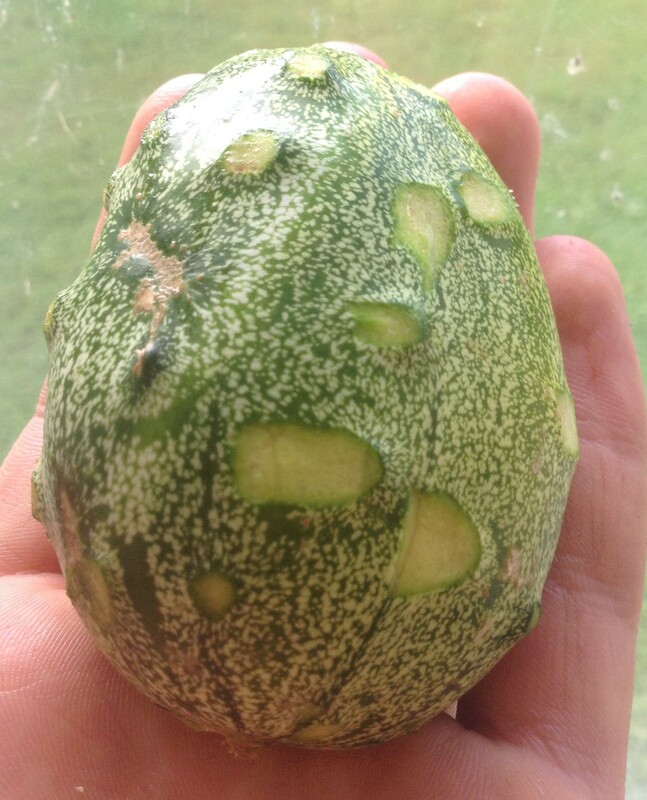 It wasn’t hard to then cut the spines off, rendering it completely harmless, and surprisingly edible. I would call it a cucumber-like consistency and flavor, but far more bold and substantial. I loved the tangy sourness of the flesh. 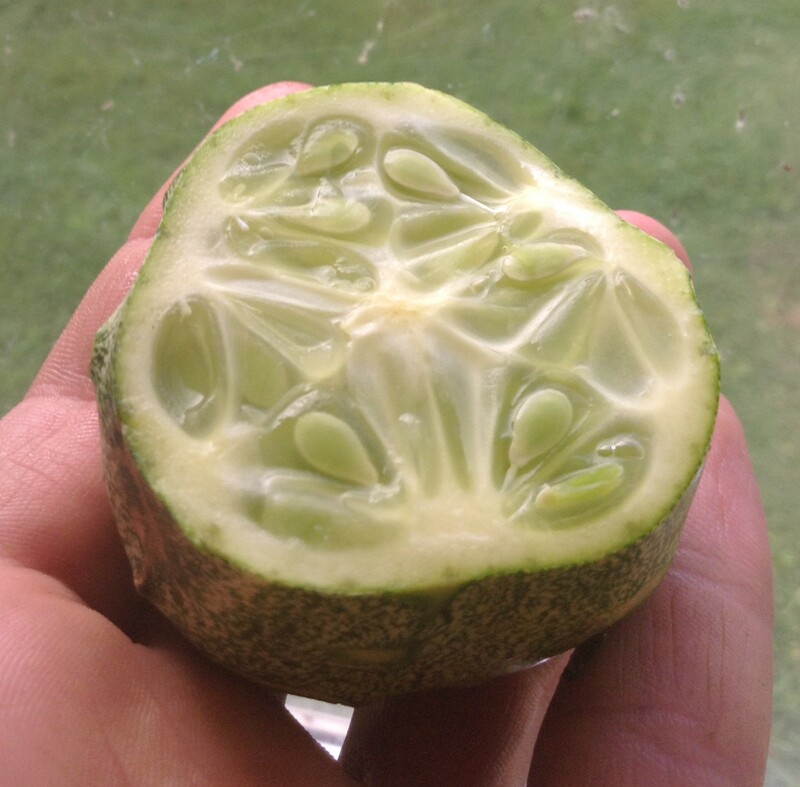 The mucilaginous texture of the seeds contrasted the firm skin. It wasn’t tough or chewy, just firm enough to be pleasant. Overall the experience was good enough for me to save some for seed. This includes letting the fruits, for one, ripen, and then letting them rot slightly. Then mash up the fruit, and water down in a jar. The seed will sink to the bottom, the fruit remains will (more or less) float. So you just keep pouring it off until you have clean seeds, at which point you dry them, and do the whole process of growing over again! I think these are definitely worth growing. They have so many pluses the downside of a few spines and perhaps less productivity in no way out-weighs the fact that they grew at all. I certainly can’t expect performance like that from the pampered cucumbers of today.